Michael Dawson, former cohost of Brewing TV joins me this week to discuss brewing the perfect sour beer. 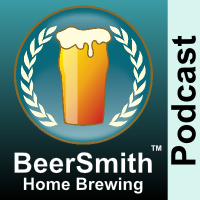 Michael shares some amazing tips for quickly brewing a Berliner Weisse as well as Lambic in this special episode recorded at the National Homebrew Conference in San Diego. Michael Dawson, former cohost of Brewing TV and brand manager for Wyeast Labs joins me this week to discuss how to brew a variety of sour beers. Michael starts with his experience with sour beer brewing and an overview of many of the sour beer styles people may be familiar with. We share some commercial examples and some of the major methods for brewing sour beers. We discuss using a sour mash to make beer and how that can be an effective technique for adding a sour twang to your stout.